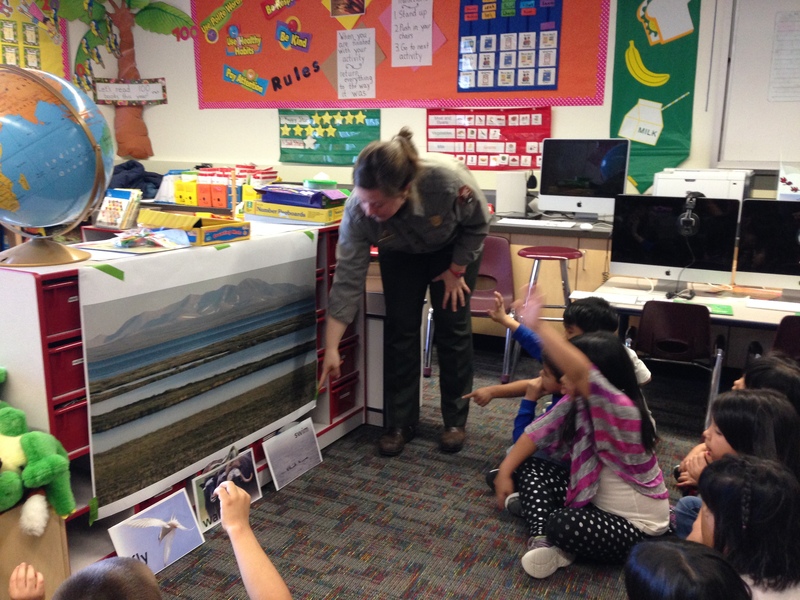 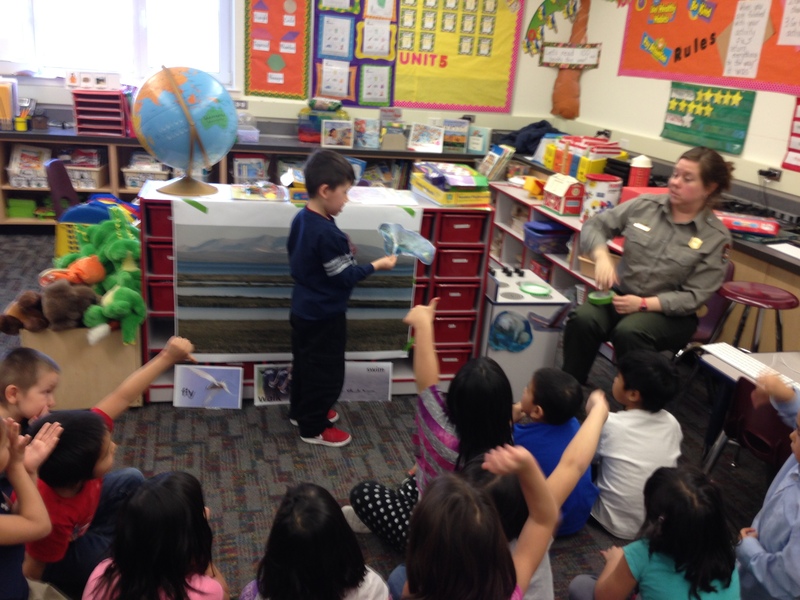 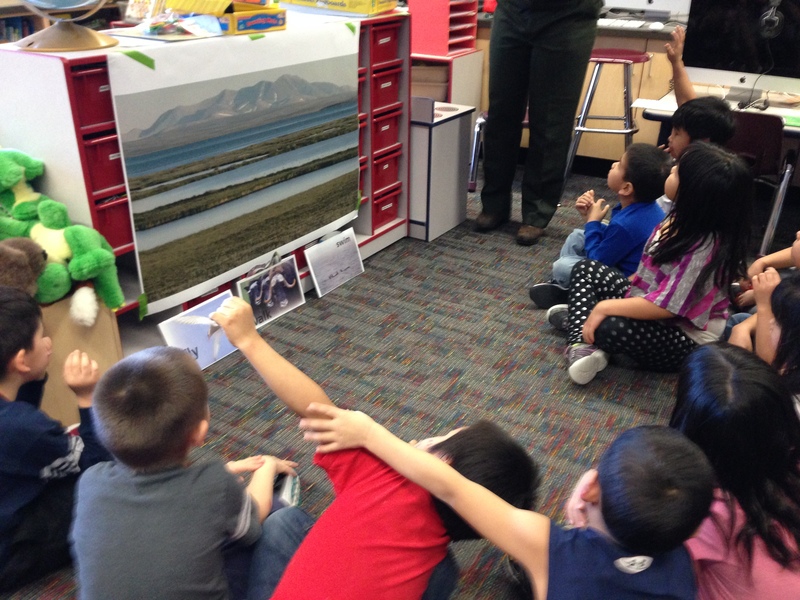 Yesterday a representative from Bering Land Bridge National Preserve came into our class to teach us about our ecosystem and the animals that live in it. 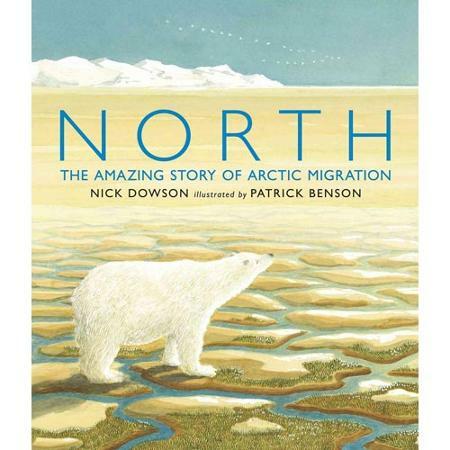 She read us the story North: The Amazing Story of Arctic Migration. 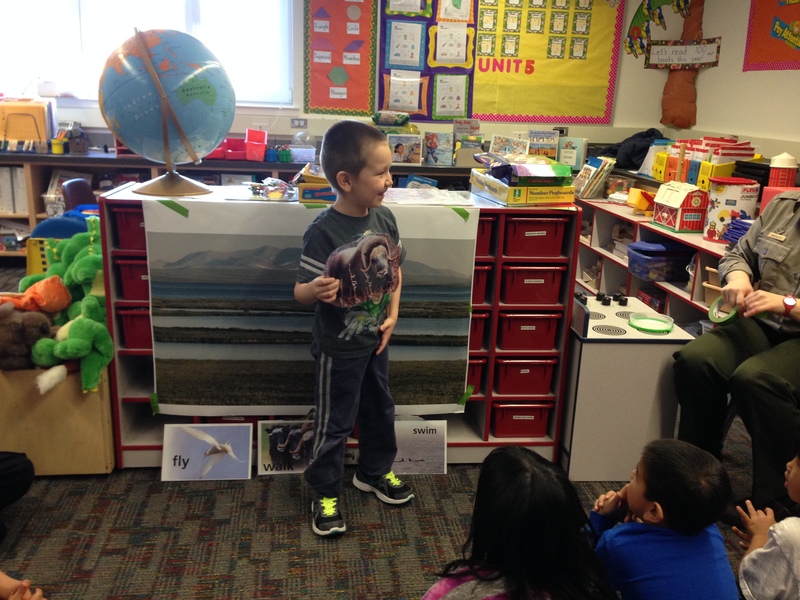 We learned about why certain animals live in cold climates, migrating patterns of arctic animals, and how animals survive and find food in the arctic. 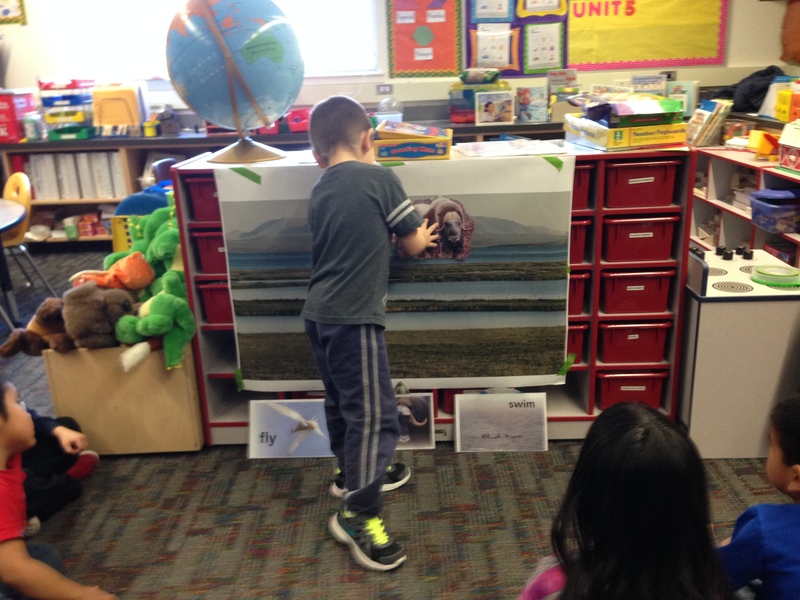 Then students took turns picking an animal from a method of migration and deciding if they lived in the arctic or not. 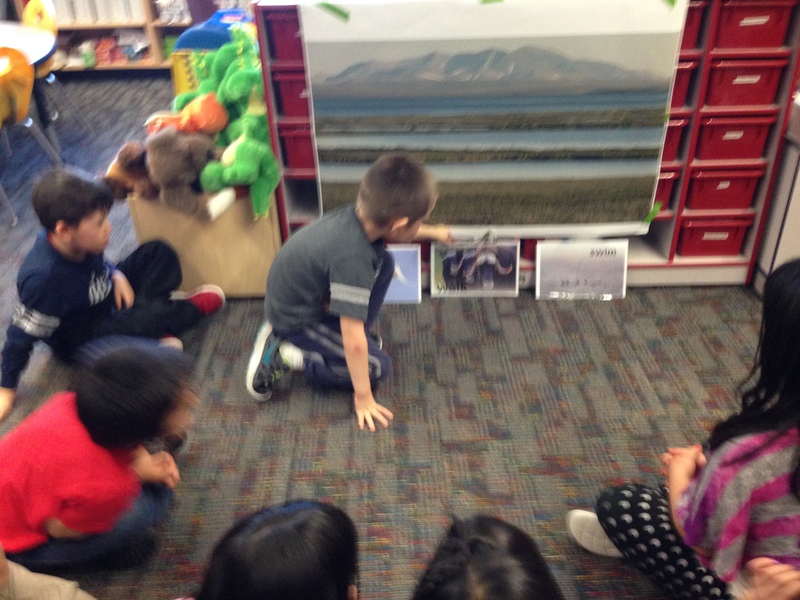 They sorted the animals by arctic animals and non arctic animals by taping the picture of the animal to the picture of the Bering Land Bridge National Preserve. 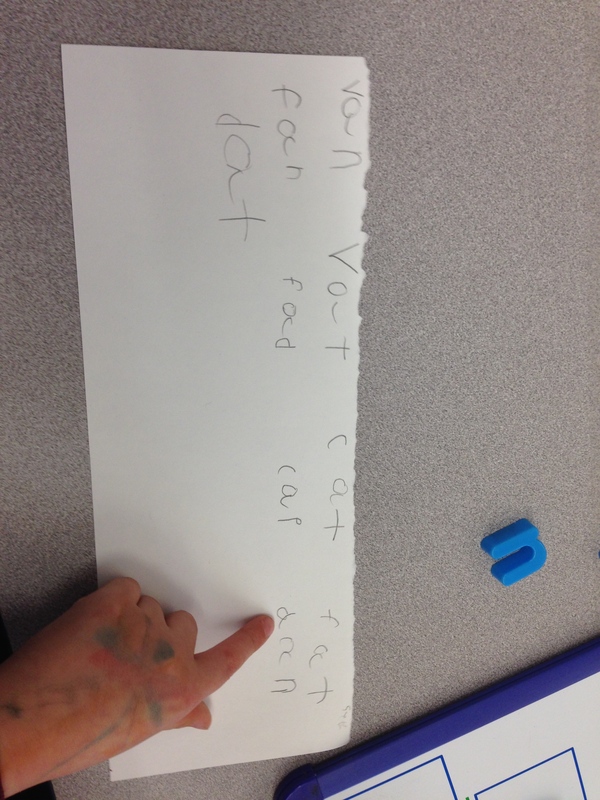 We finished off the lesson with a song sung to the tune of If You’re Happy and You Know It. 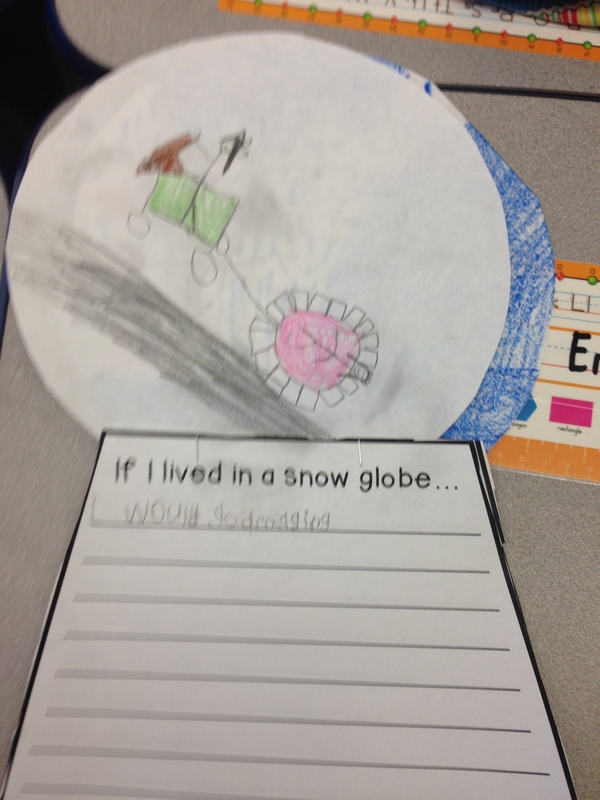 The title of the song was If You Live in the Arctic. 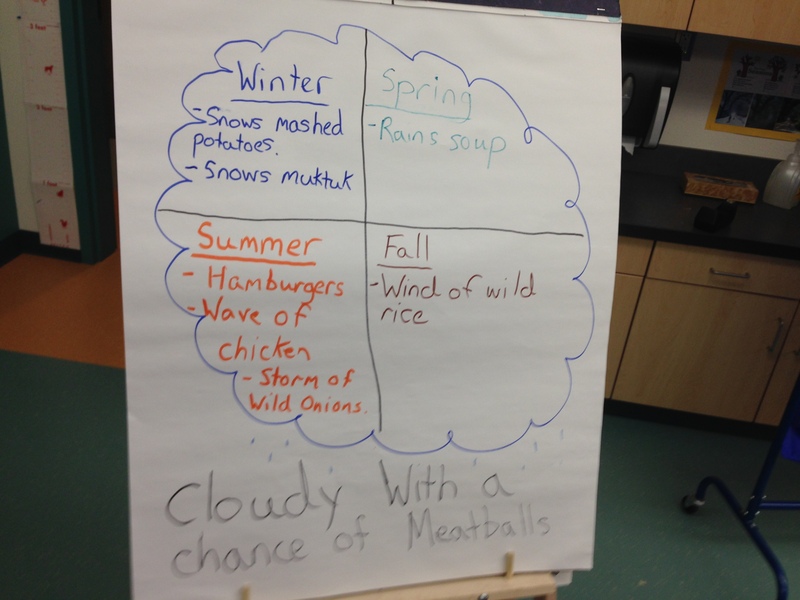 This week we finish up our unit on weather and seasons. 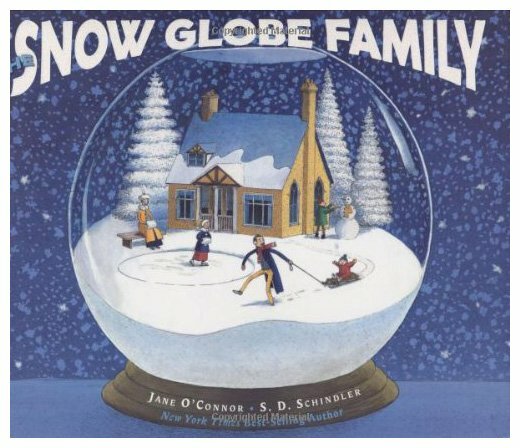 We also continued our study on tall tales and we read a story called Snow Globe Family. 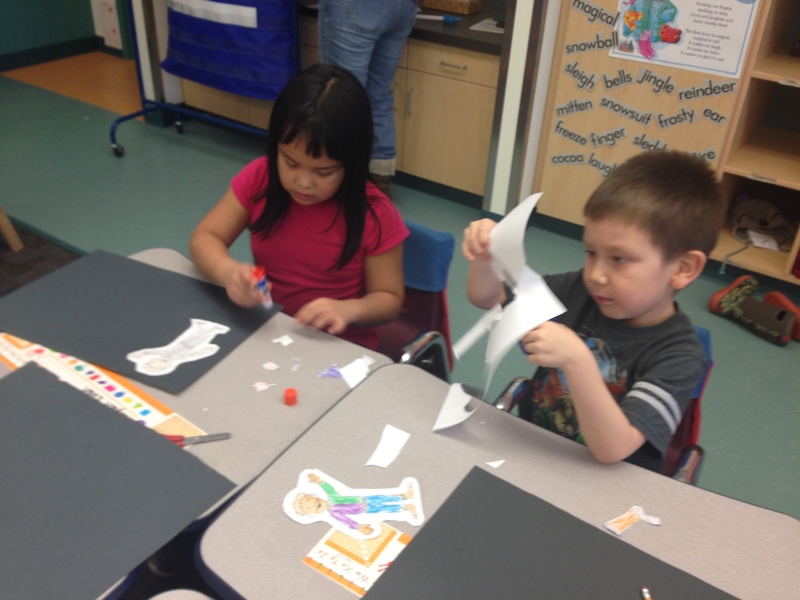 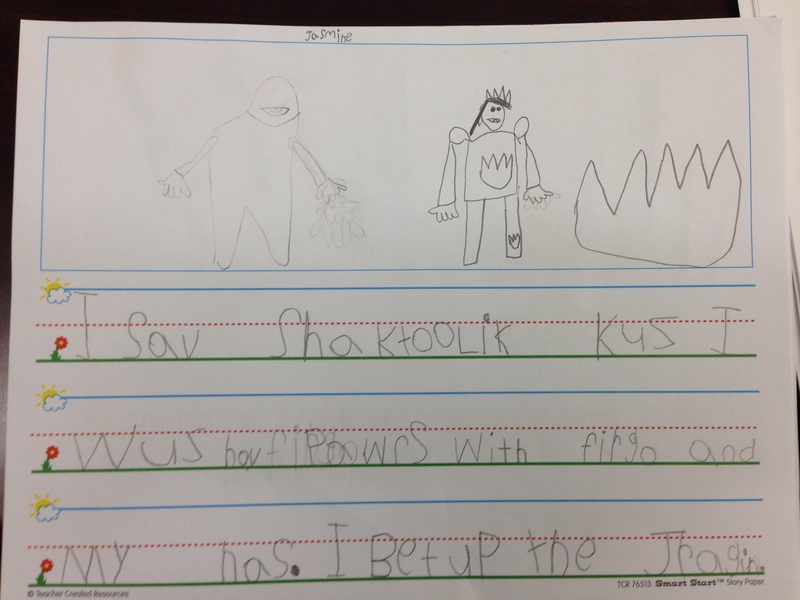 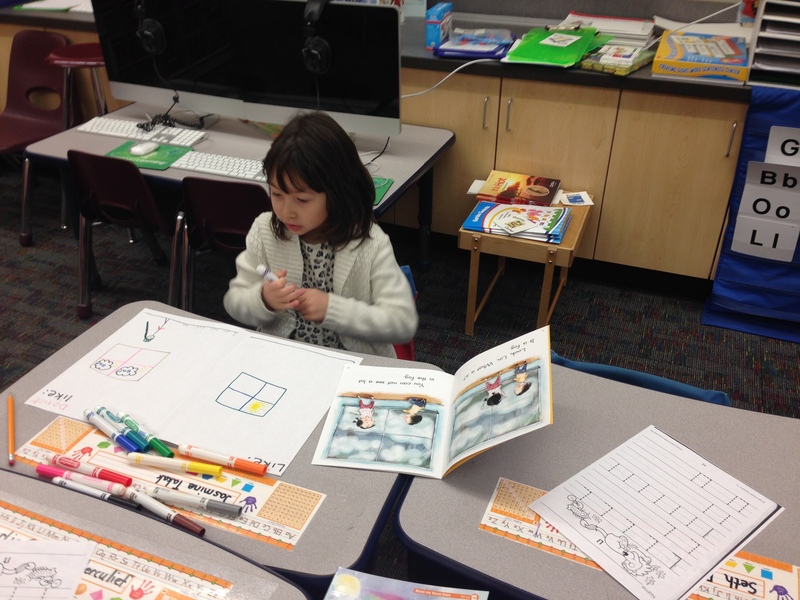 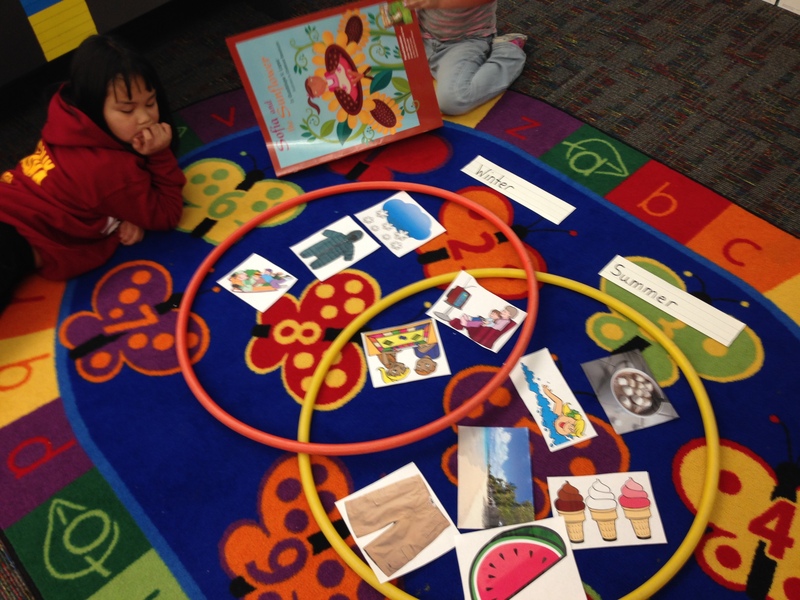 One of our reading skills we have been learning is how to visualize parts of the story or make mind movies. 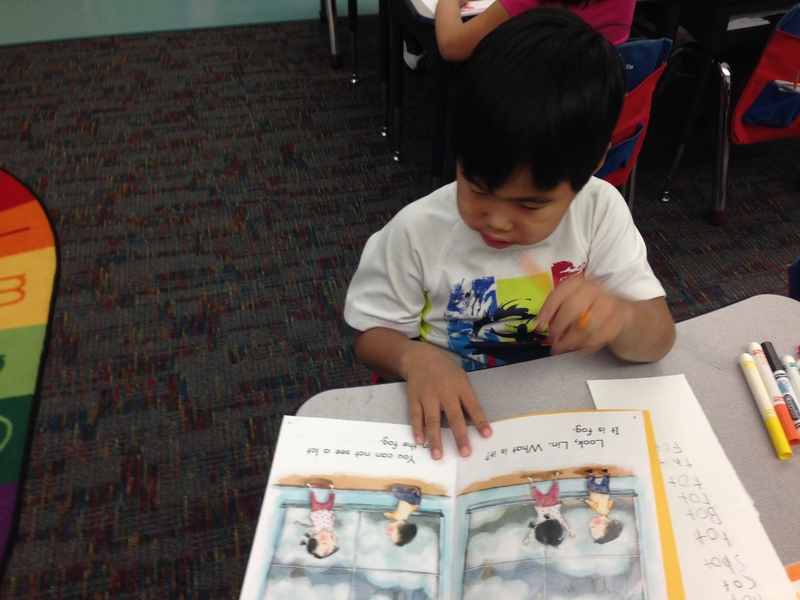 So I read part of the story to them without showing them the pictures first. 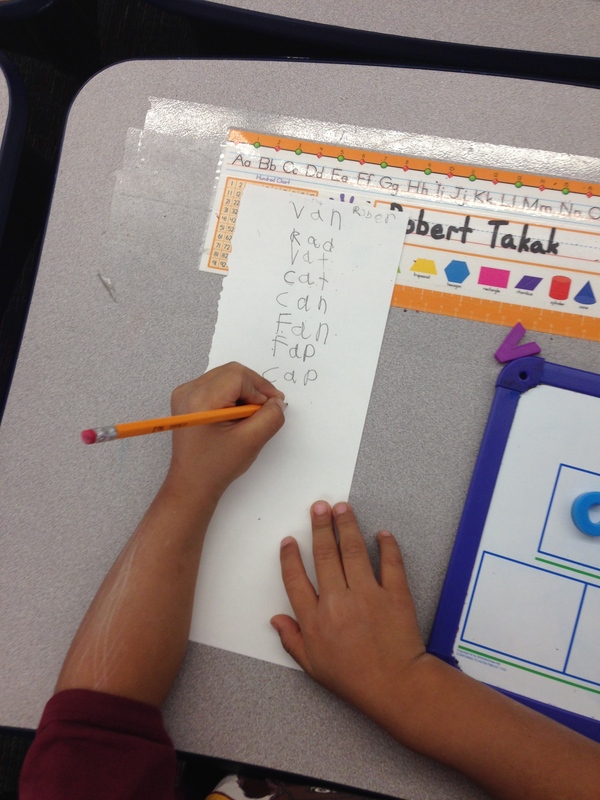 Then we came up with the things we visualized in a class list. 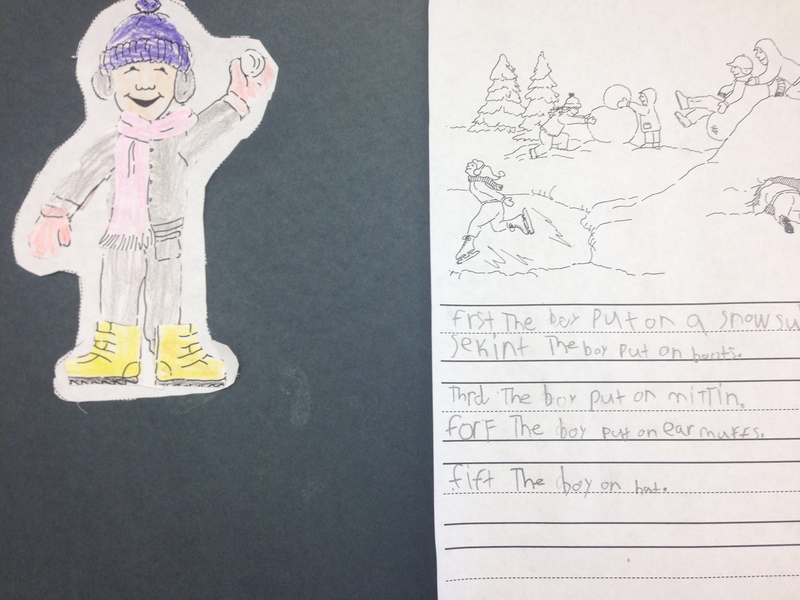 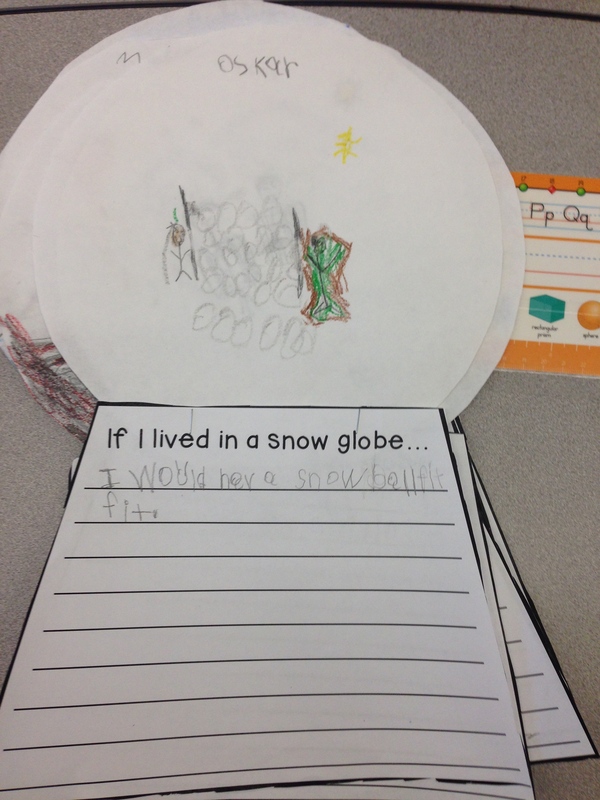 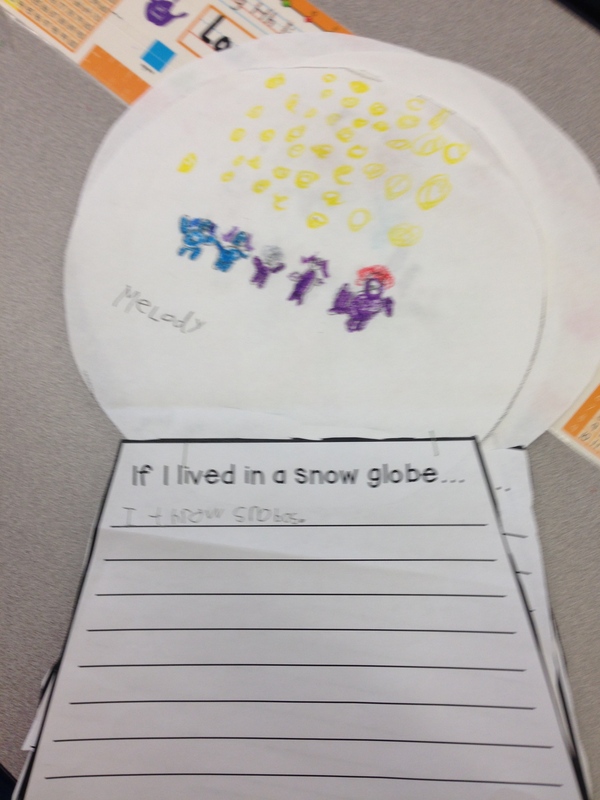 We then created our own snow globes and wrote about what we would do if we lived in a snow globe. 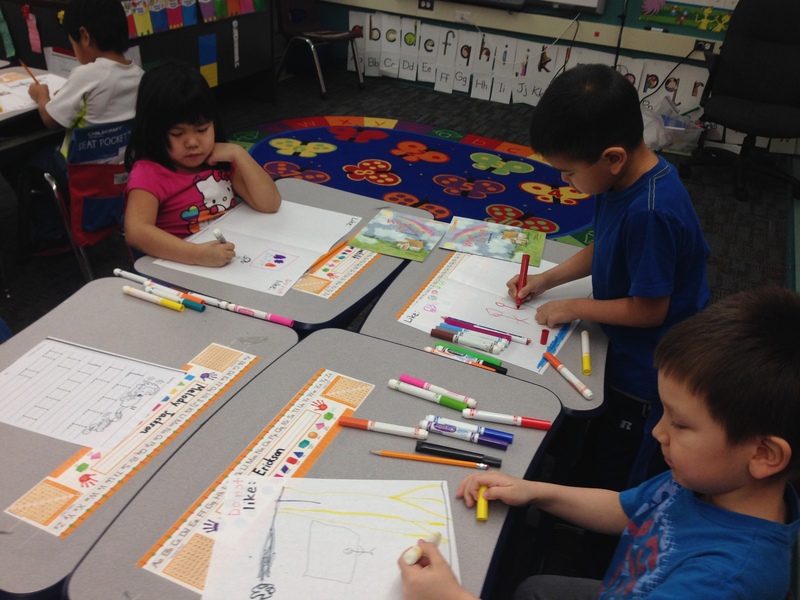 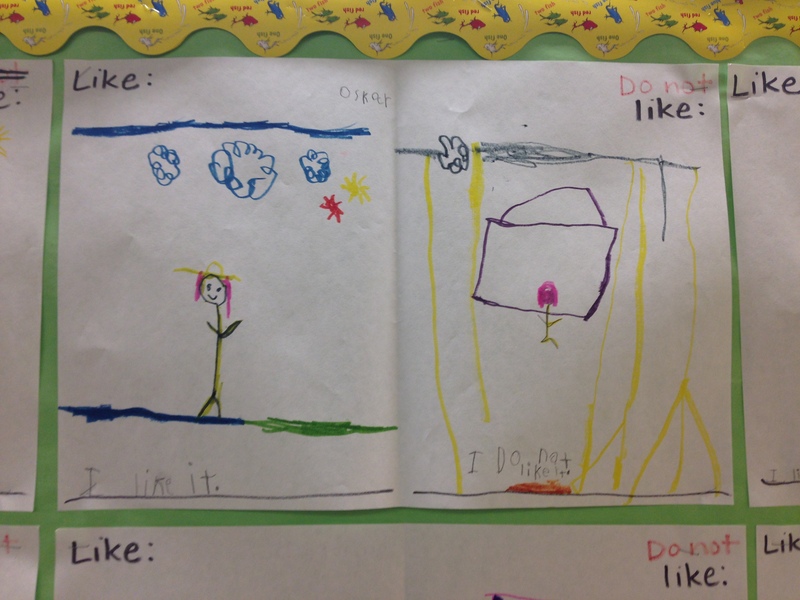 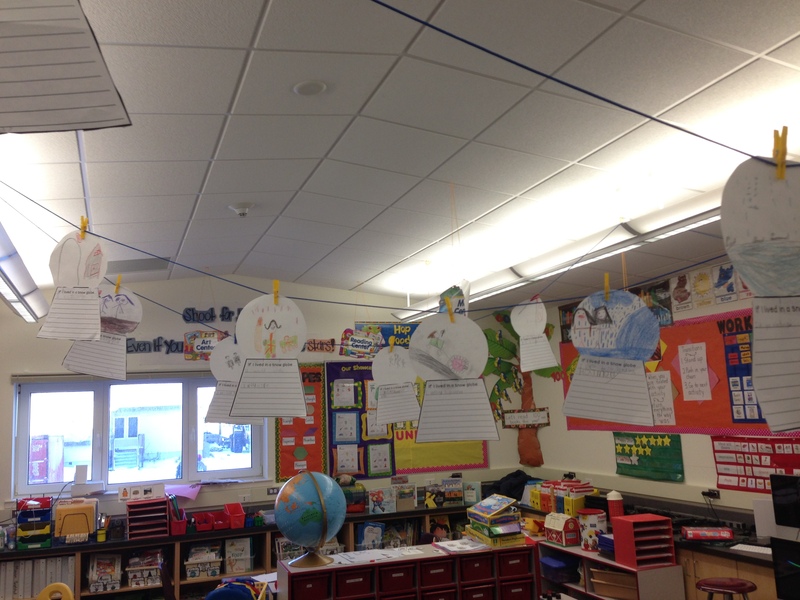 We hung up our drawings and writing in the classroom. 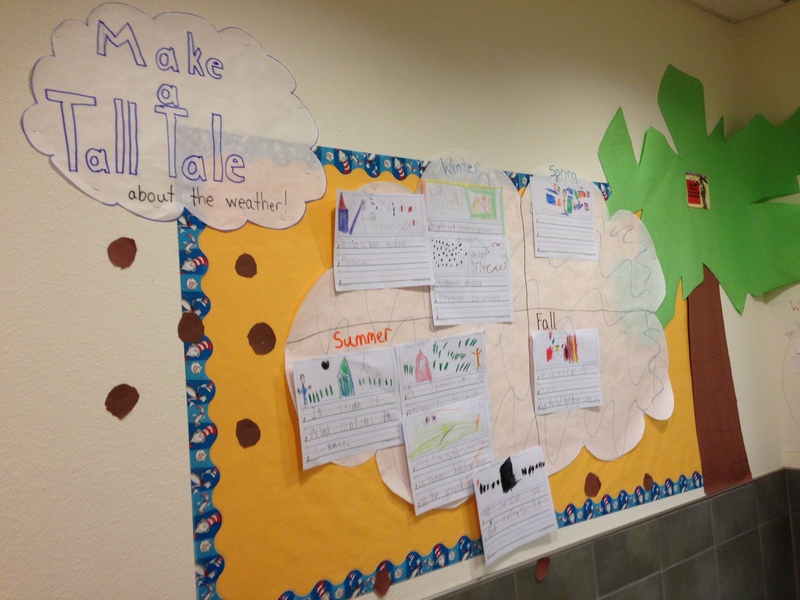 Today as we continue our unit on Season & The Weather; we learned a new book genre called a tall tale. 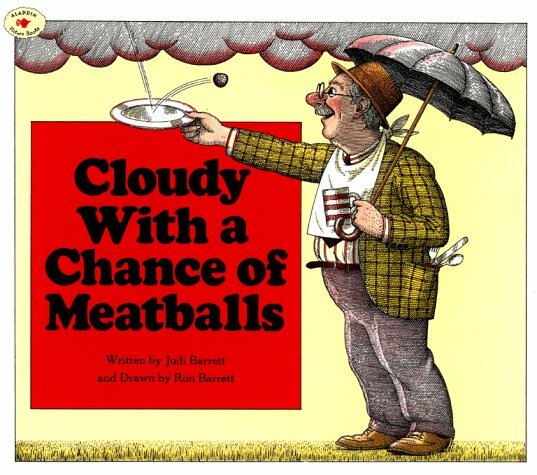 During our teacher read aloud portion of the day, we read the story called “Cloudy With a Chance of Meatballs”. 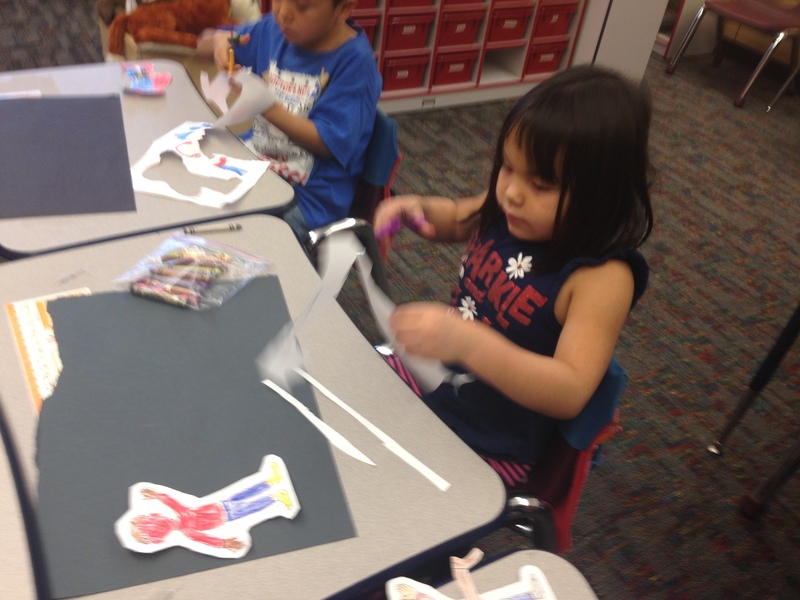 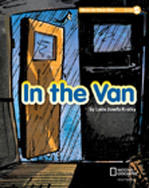 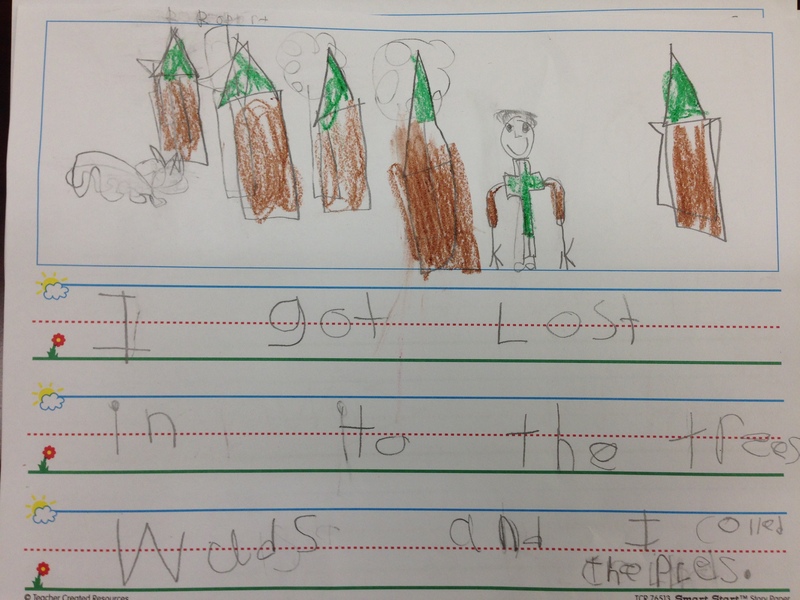 It is a story that is written as a tall tale told by a grandpa with a big imagination. 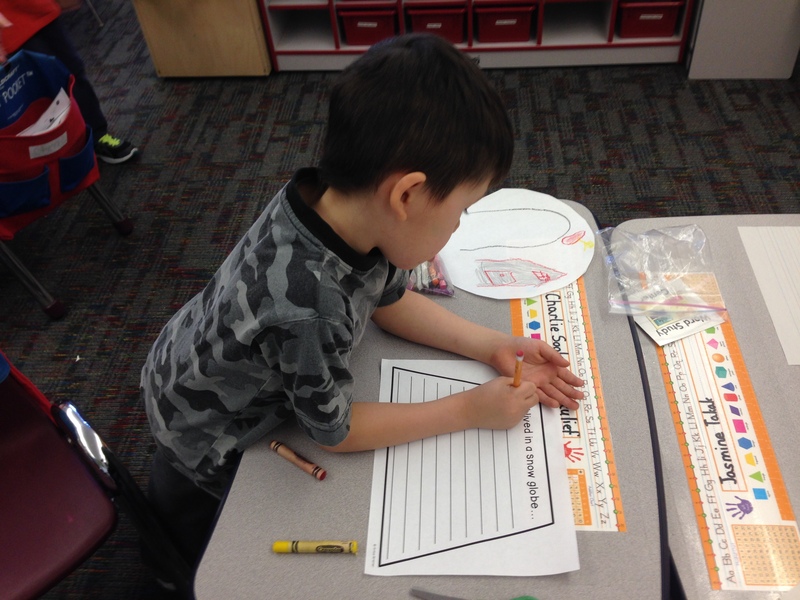 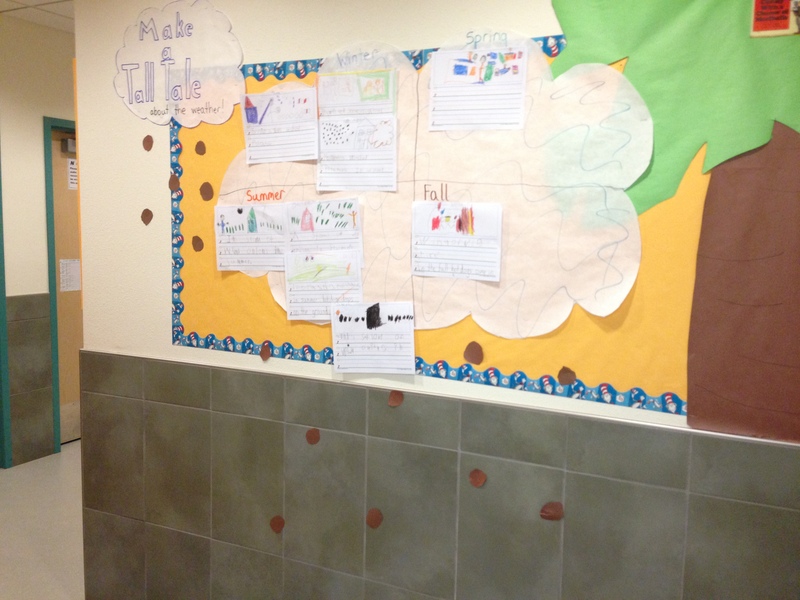 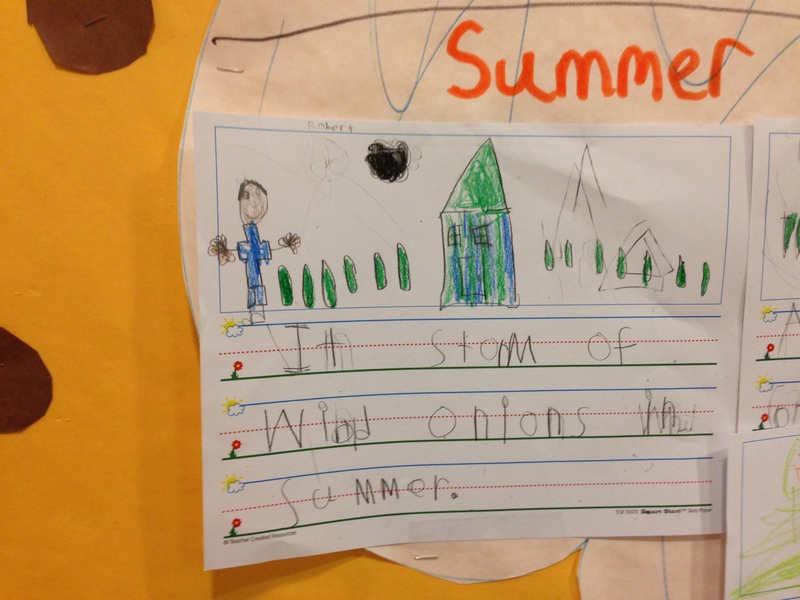 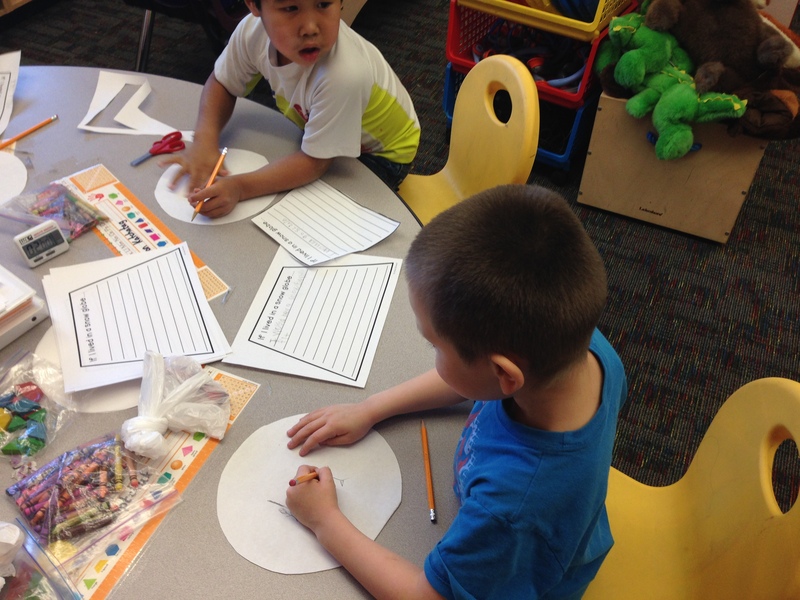 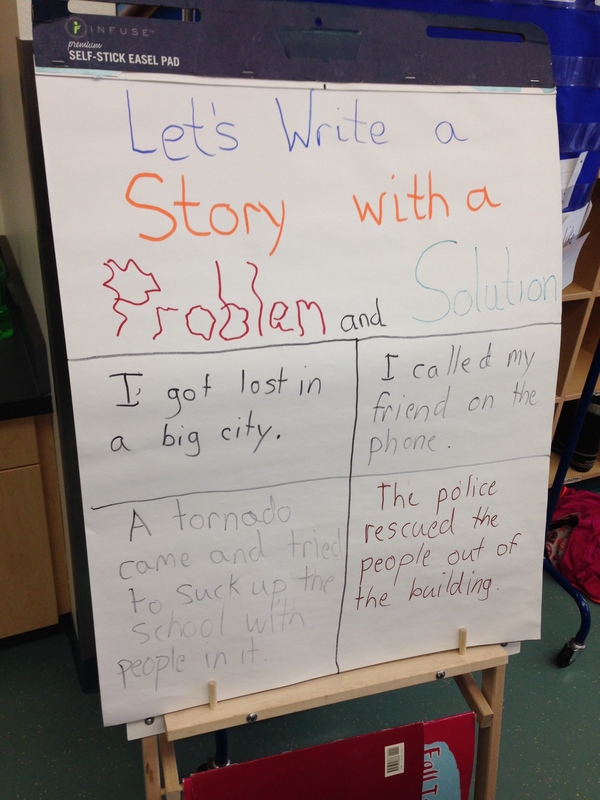 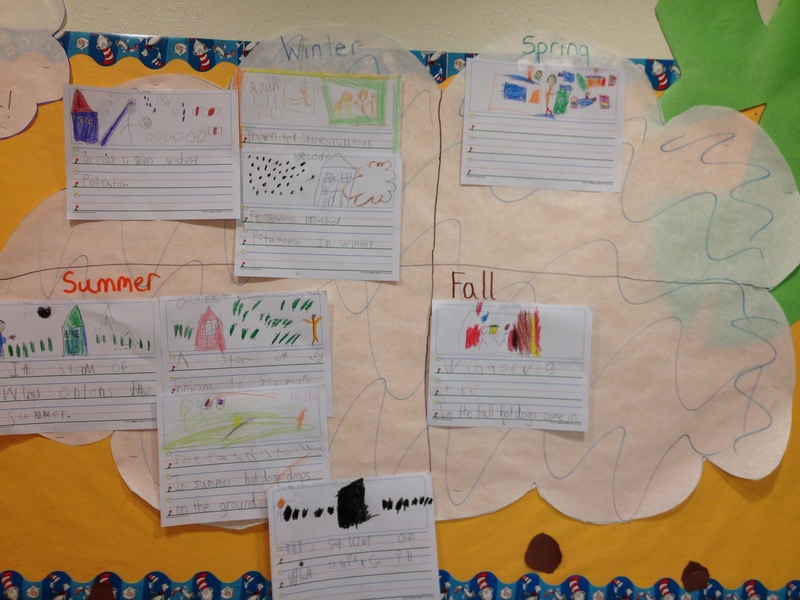 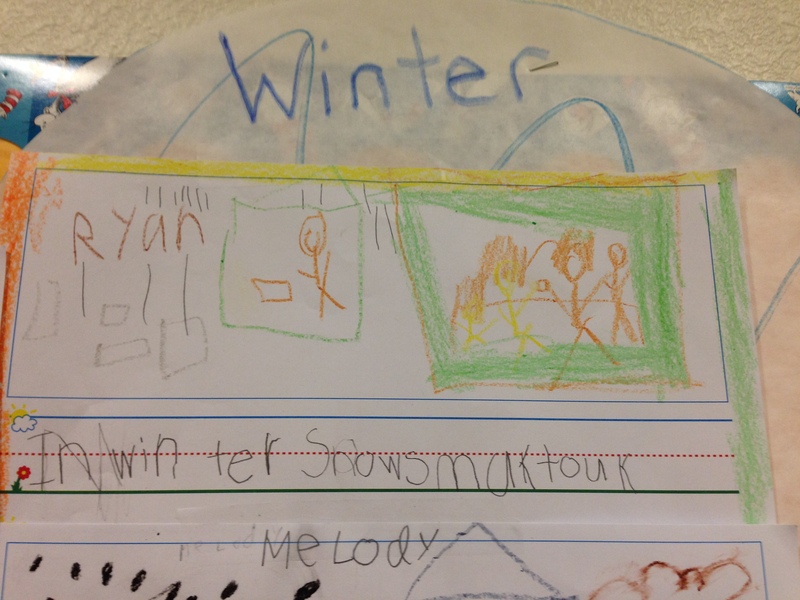 At our writing station during centers today, students wrote their own tall tales about the weather and told which season they would happen in. 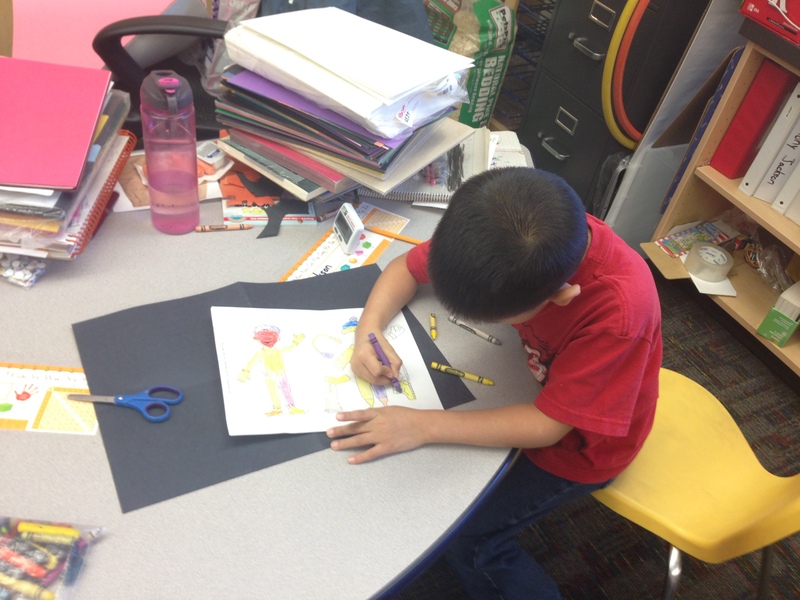 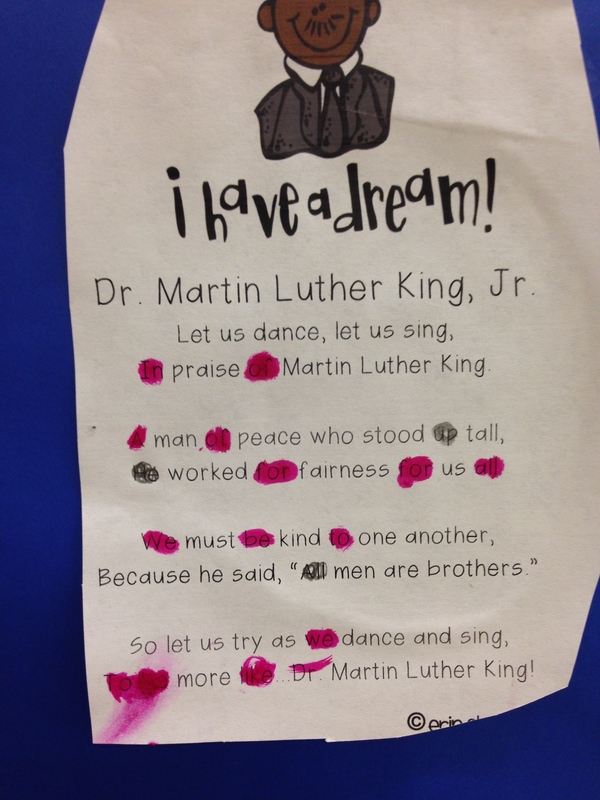 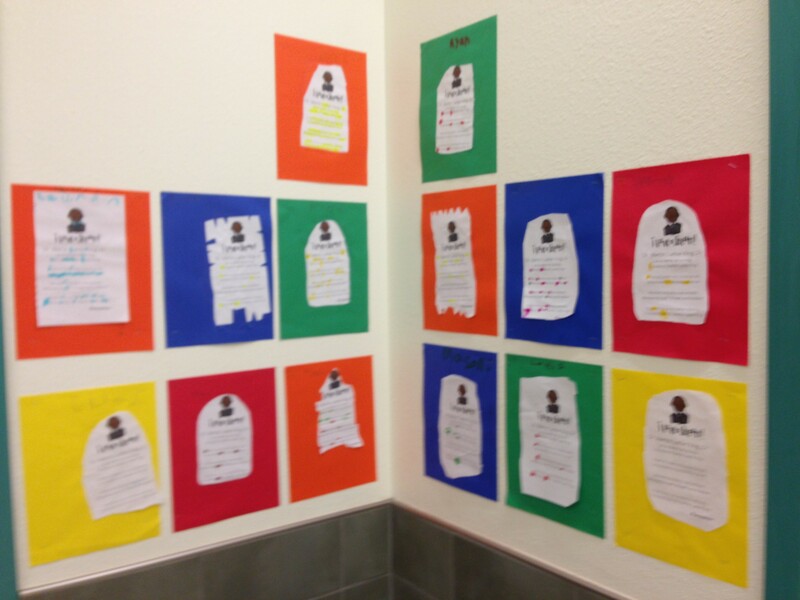 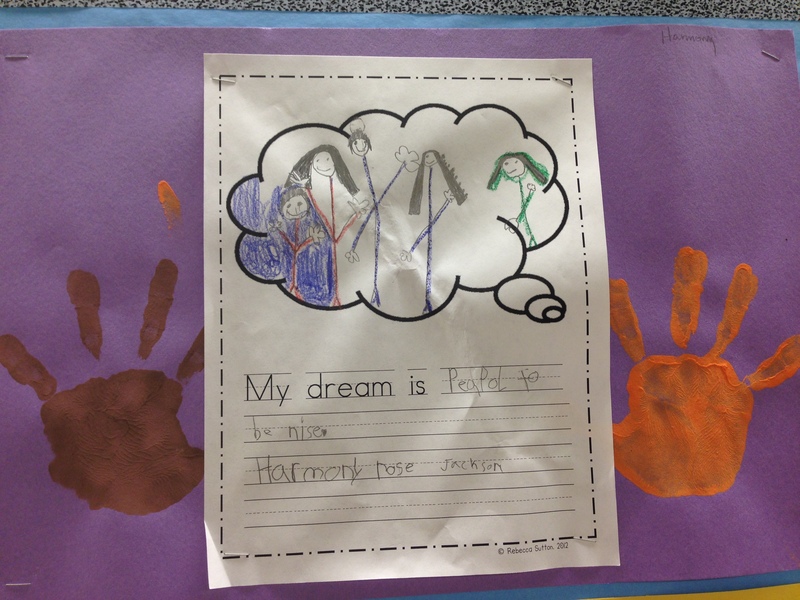 We celebrated Martin Luther King Jr. in our K-1 All-Stars class today. 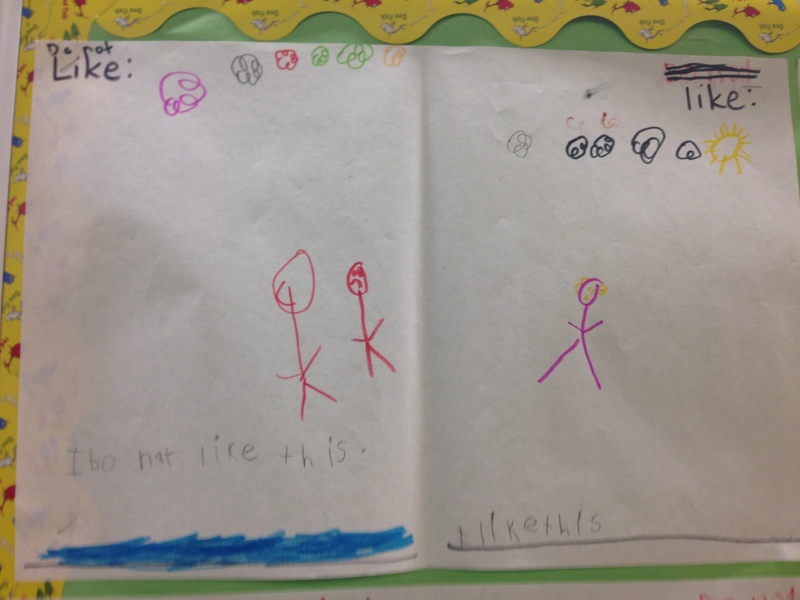 We learned the importance of treating each other as we would like to be treated, and the importance of the “golden rule”. 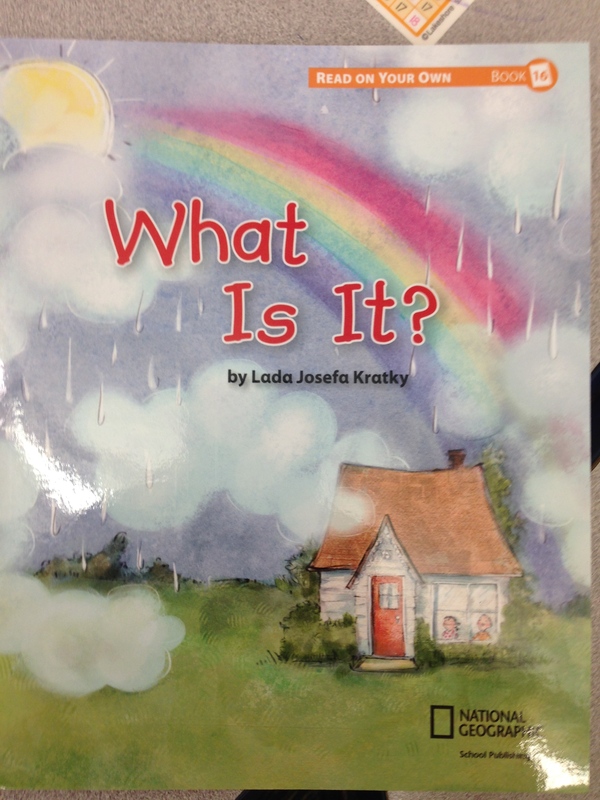 First we watched the reading rainbows version of Martin Luther King Jr. by David A. Adler. 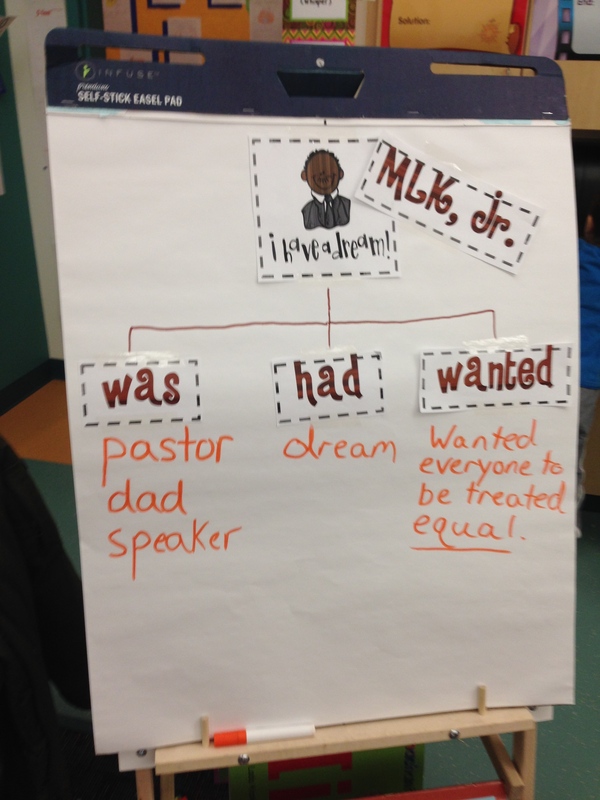 We discussed how MLK changed the world for a better place and filled out an anchor chart to illustrate what we’ve learned. 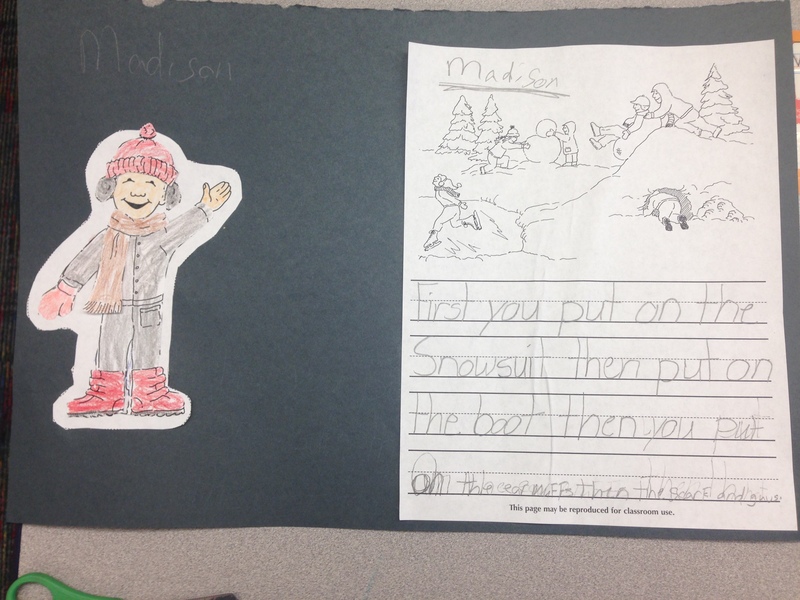 The anchor chart displays I got from Eberhart’s Explorers teachers pay teacher’s store. 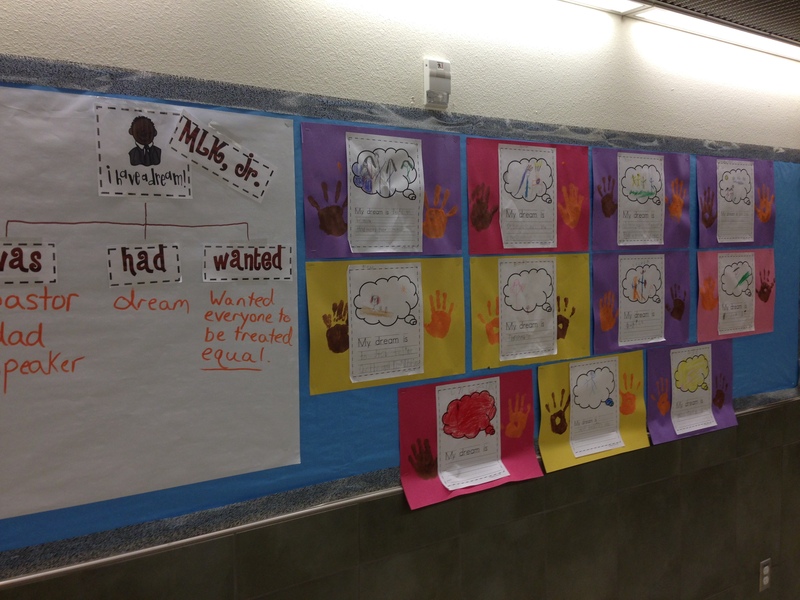 The MLK unit is free to download. 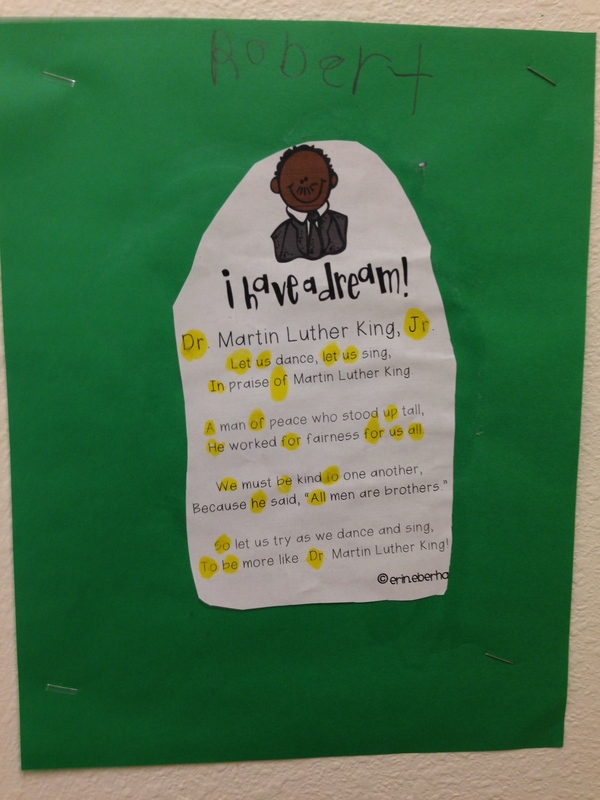 After we filled out our Anchor chart, we read an I Have a Dream, for poetry reading. 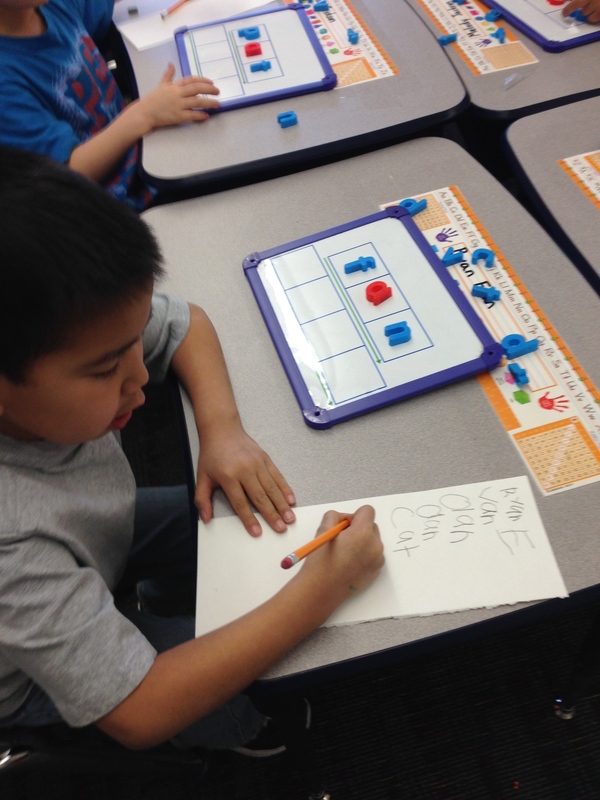 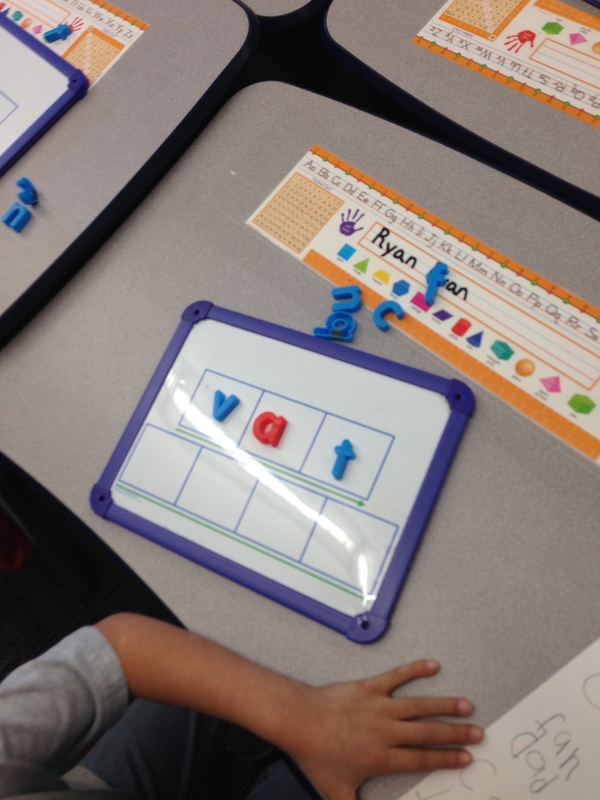 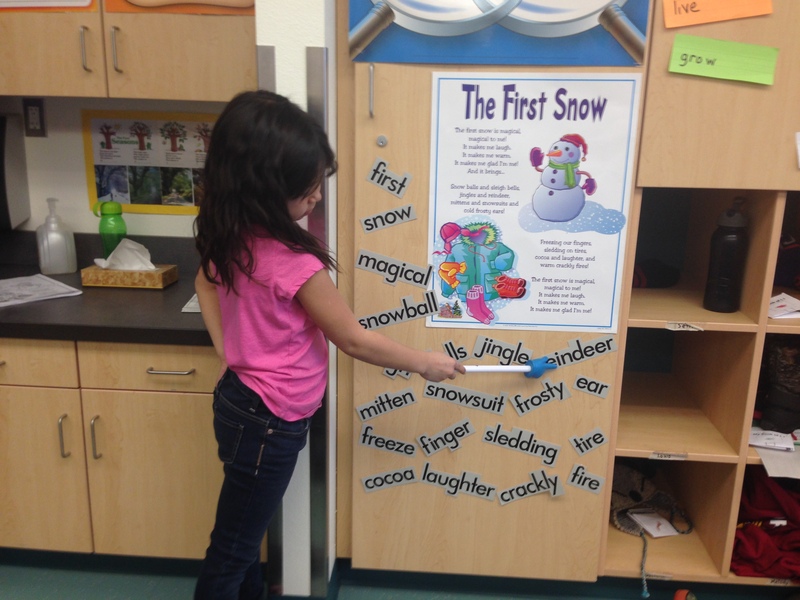 Students had fun highlighting sight words. 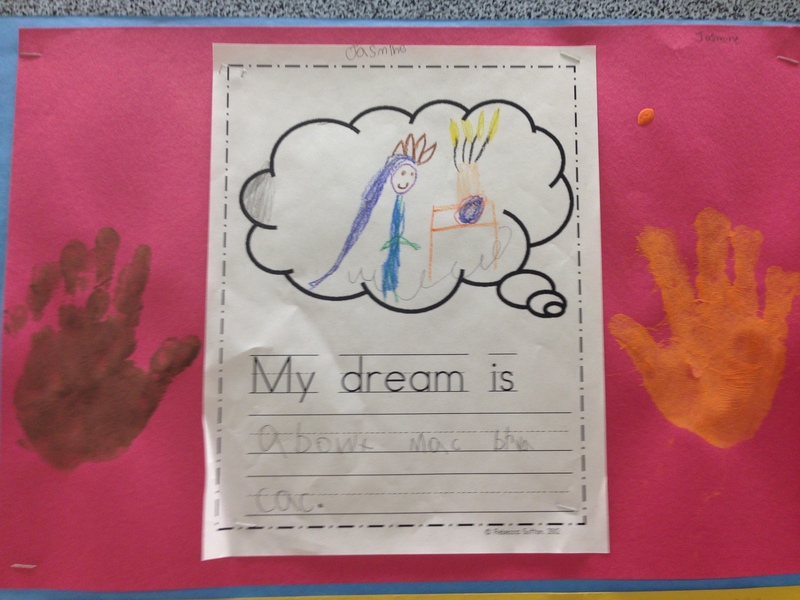 Finally we wrote about what our dream (we’ve been learning about the letter Dd in phonics!) 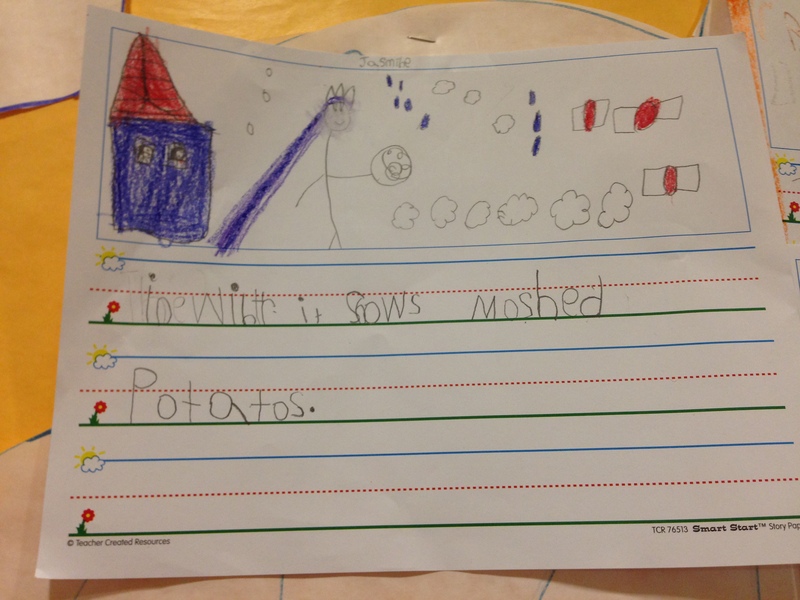 was for the world to be a better place. 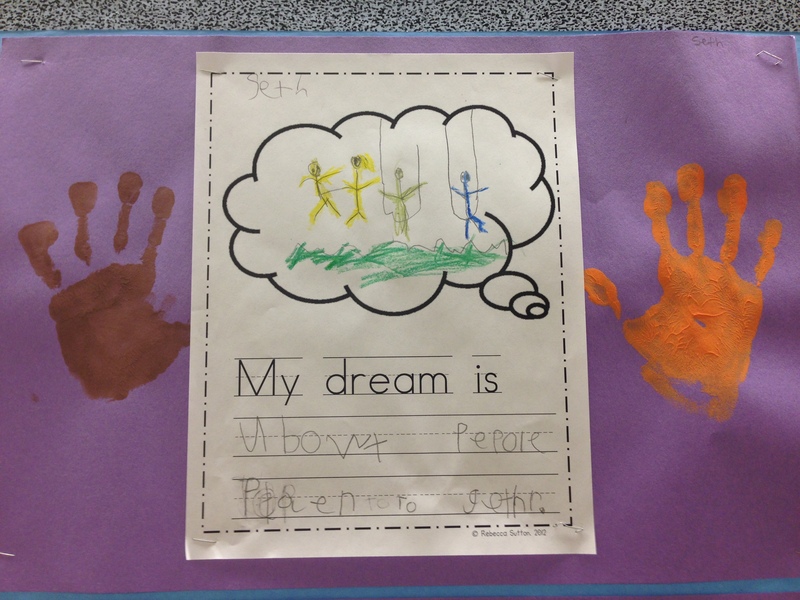 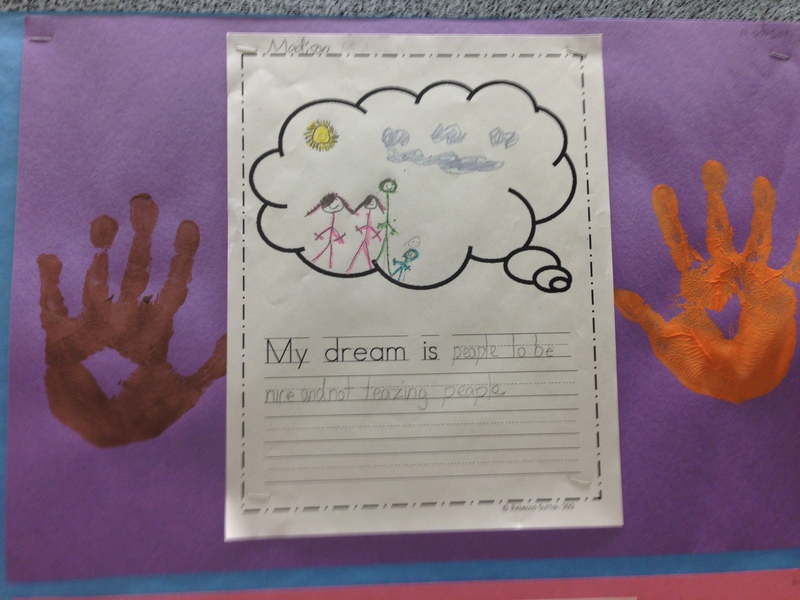 Students also used hand paint to help illustrate their dream. 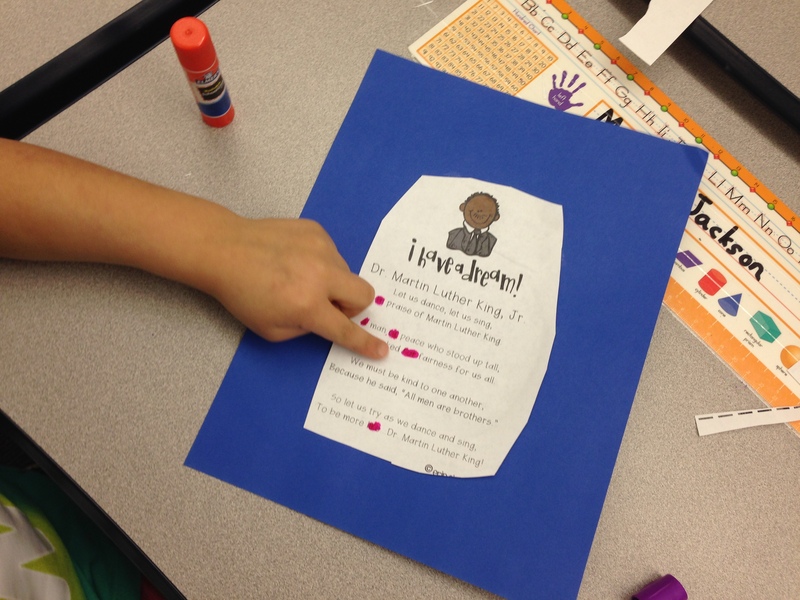 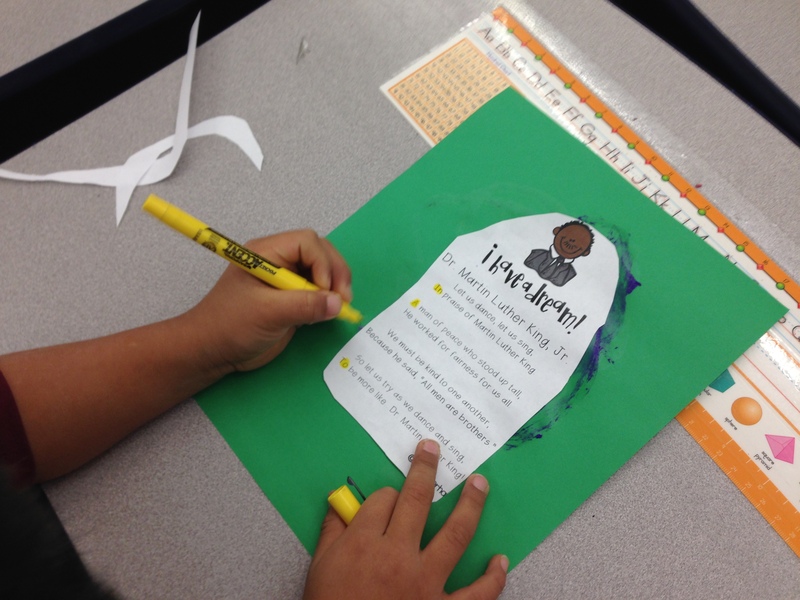 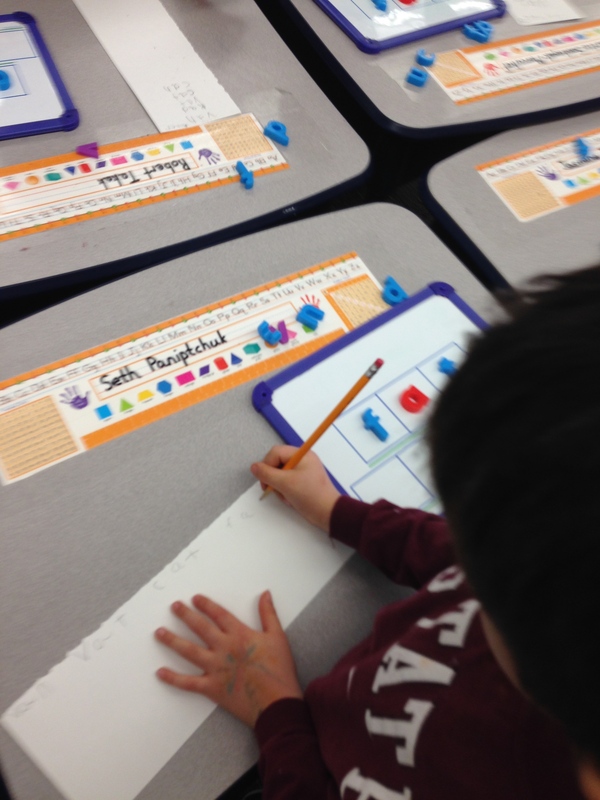 These cool printouts came from Teaching First’s blog.